I’m a law abiding blogger. Laws are meant to be obeyed. If an individual opposes a law in a free country, then he should operate within the system to modify it. I recognize that even in free societies, certain laws are so unjust and in violation of natural law that that the citizenry may be justified in relying upon other measures to affect necessary reform. I’m not suggesting that an unwelcome federal tax on gasoline be greeted with pitchforks in the street. However, our own democracy is a nation where slavery, ‘separate but equal’, exclusive male suffrage and Jim Crow discrimination were all legal. In such cases, can we expect a legislature to strike down unjust laws that it enacted? Law and medicine are increasingly intertwined today, and more than they should be. Physicians no longer practice unfettered from legal encroachments and regulations. I am not referring here to the unfair medical malpractice system, a subject that has occupied a substantial portion of real estate on this blog. Look what Obamacare has wrought and what it threatens to do in the future? Private practice medicine – my gig - for example, will either be declared illegal or will be deprived of oxygen and put to sleep. The most ludicrous intersections between law and medicine are when legislators try to play doctor for crass political reasons. This is nonsensical as even trained physicians can’t agree about medical testing and treatment. 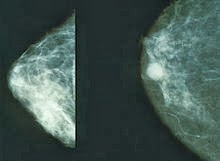 Medical experts, for example, are not of one mind on when mammography should be offered and at what intervals. I don’t fault our profession for failing to achieve a consensus here. The science behind the issue is not certain and differing and valid interpretations are expected. I admit here that some of these physician opinions may be politically tainted for reasons of self-interest, but even non-partisan and objective medical experts may simply interpret data differently. When there is an important controversy in medicine, it should be addressed by additional medical research or accepting an interim position based on the views of medical professionals. So do you think that the mammography controversy should be settled by doctors or a legislator submitting a bill that mandates mammography coverage starting at age 40? If we allowed it, politicians would pass all kinds of medical care treatment and testing laws to curry favor with various interests groups. This might be good fertilizer to cultivate some votes, but is this how we want the practice of medicine to advance? Ohio passed a law earlier this year that would require physicians to inform women facing mastectomy about options for breast reconstruction. The aim of the bill is to assure women that future reconstruction would be a covered insurance benefit so that they would be more likely to accept mastectomy. Of course, I want these women to be informed of the reconstruction option. Indeed, this is the responsibility of the treating physician. I object, however, to a law that requires it. For those who support such a law, why only breasts? Surely, laws could be passed affecting every medical specialist and every organ of the body mandating certain medical advice. I advise my patients who have reached the 50 year mark that they should pursue colon cancer screening. I don’t think a law should be passed mandating this conversation, but it’s no stretch to imagine a pontificating populist politician from trying to do so. I’m not taking any chances. I’m buying a pitchfork, just in case. I know we are entering the era of telemedicine. I certainly do a lot of medicine on the phone every day, and many evenings. But, for many medical issues, there is no substitute – nor should there be – for a face to face visit with a doctor. Chronic abdominal pain, particularly in a new patient, can’t be solved in a visit or two. It takes serial office visits over time to deeply grasp the patient’s symptoms and understand the patient as a person. It needs regular physical examinations, which is a crucial piece of data for the doctor that can’t yet be acquired through cyberspace. Maybe eventually, my iPhone will have an app that can palpate an abdomen, discern body language and gauge if a patient ‘looks sick’. Until then, for most patients I will rely upon my eyes, my hands and my gut. Hobby Lobby, unfairly demonized in various corners of the public square, had their religious beliefs upheld in the highest court of the land in a 5-4 decision this week. The company’s leaders are deeply believing Christians, which I believe is still a lawful practice in this country. The company tithes to charity and pays its full time employees at least $14.00 hourly, both evidence of a culture of compassion and fair play. No, not these Supremes, the other ones. There is a din of shrill protestations that the company is against contraception and women, which is a complete falsehood. Hobby Lobby is not the Catholic Church who objects to all forms of artificial birth control as fundamental religious dogma. The company always intended to cover 16 different forms of contraception, including oral contraceptives, condoms and tubal ligation. It objects to birth control methods that take action after an embryo has been created. I don’t grasp the notion that an institution that approves 16 different methods of contraception is against contraception or is posing an undue burden on women, although I admit that I view this issue through the lens of an XY chromosomal organism. Might the arguments against Hobby Lobby’s beliefs have a political basis that is beyond the substance of the issue? Although I recognize that the Affordable Care Act mandates coverage of all 20 birth control methods, in the medical universe that I inhabit, insurance companies do not cover every available treatment for every malady. 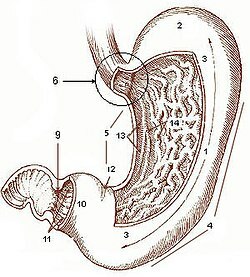 For example, a particular insurance plan may cover heartburn prescriptions, but not every one of them. Keep in mind that the Supreme Court decision affects only closely held, for-profit companies, which affects only a small fraction of American working women. I personally believe that women who work at Hobby Lobby have a right to the 4 methods of birth control that the company objects to, including intrauterine devices and ‘morning after’ pills. However, when I weigh the rights of the owners, who have a lifelong and deep Christian belief that forbids these practices, I am persuaded that their religious freedom argument is stronger. If they had lost the case, they would be complicit in a practice that they find to be sinful and abhorrent. If they prevailed, as was the case, Hobby Lobby female employees would still have access to numerous forms of birth control. The Obama administration in its zeal to impose health mandates, has underestimated the resistance from groups and individuals who guard their personal freedoms and liberties with equal zeal. This governmental myopia has led them to some uncomfortable crossroads, such as their pending litigation against the Little Sisters of the Poor, who will not accept the government’s accommodation to their objection to contraceptive coverage. I would be reluctant to sue a group of nuns who are respected all over the world for their selfless, charitable endeavors. I’m not sure I’m right on the Hobby Lobby issue. Four Supreme Court Justices, all great legal scholars, think I am wrong. The 5-4 decision is proof that this was no legal slam dunk. Additionally, a different set of justices may very well have decided the case differently. Yet, I feel that Hobby Lobby and Conestoga Wood Specialties who joined with them in this case, had more to lose than women had to gain. I am neither pro-life nor Christian. I’m a political moderate who has voted for candidates from both major political parties. I’ve never even seen a Hobby Lobby store, but I’d like to meet the owners. Are they warriors in the war against woman or freedom fighters for individual liberty? I think the Court got it right. 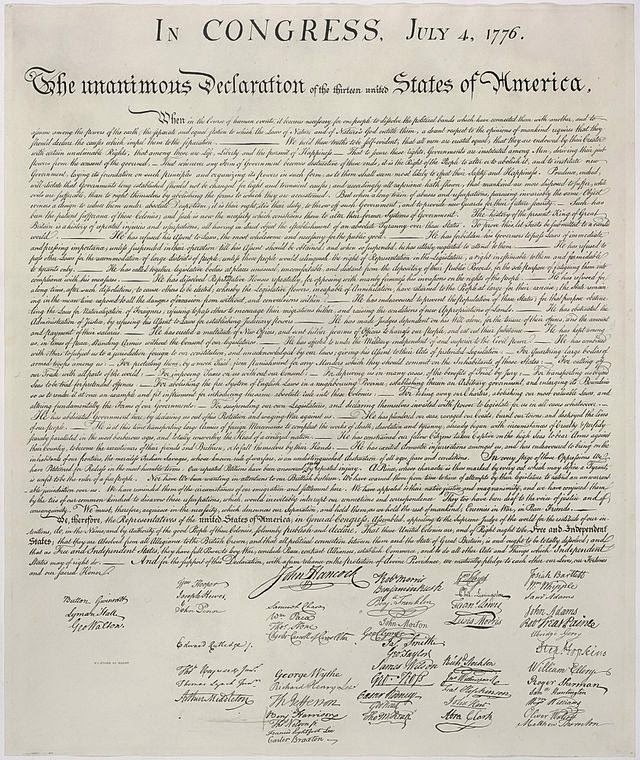 The Fourth of July - Musings on the Declaration. The meaning of many holidays can be elusive. On Memorial Day, are we contemplating our fallen heroes, or grilling burgers? How many shopping days ‘til Christmas? Labor Day? Isn’t that the last weekend at the beach? The Fourth of July has just passed. Hopefully, we paused at least for a few moments to meditate on what happened in Philadelphia in 1776. I’ve seen the actual Declaration twice in my life. The first time was when my mom took me to D.C. as a young child. Later, I took the kids to the National Archives, where we waited in a long line to be rewarded with a few second gaze at the very faded ink that was sequestered behind thick glass. History is such a thrill. It’s a dynamic discipline that breathes. This past week, a scholar from Princeton, New Jersey claims that a punctuation mark – a period – does not appear on the original parchment, but was included in the official transcript of the Declaration authorized by the National Archives. The omission of the period casts a different slant on the sentence that begins with the iconic phrase, We hold these truths to be self-evident. Fifty-six men signed the document. Here are their concluding words to King George III. We owe a debt that can never be repaid.